With 20 years of Experience! If you've been arrested, you need a game-changer on your side. Call on the relentless defense of David D. Diamond today. If you have been arrested and charged with a criminal offense, the most important decision to make is choosing the right Los Angeles criminal defense lawyer. It is a well-established fact that the quality, creative talent and dedication of a defense attorney can greatly influence the outcome in a criminal case. At Diamond & Associates, we have gained a reputation as a premier Los Angeles criminal defense law firm. We urge you to contact our firm for immediate assistance and a free case evaluation. Our founding attorney, David D. Diamond, is not only a highly skilled defense litigator, but he teaches the art of trial advocacy to law students. His depth of understanding of the criminal justice system and how to present a compelling case for the defense could give you the winning edge in court. 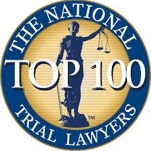 Listed to the California Super Lawyers Rising Stars in 2009 through 2012 and California Super Lawyers in 2016 and 2017, he has achieved many victories in difficult criminal trials. Attorney David Diamond is a State Bar Certified Criminal Law Specialist. This means that he has met the rigid requirements for becoming a certified specialist, which includes passing a written examination, completing at least 45 hours of continuing education in criminal law, demonstrating proficiency in his specialty field, being favorably evaluated by other attorneys and judges and passing a comprehensive inquiry into any disciplinary actions for professional misconduct. Only those attorneys, who meet the standards set forth by The State Bar of California or an organization accredited by the State Bar to certify such attorneys, are allowed to advertise as certified specialists. Fox 11 News is one of the area’s premier news sources, and I have been asked to analyze current, high profile cases. The show is never without controversy, and reaches listeners in over 42 states and 38 different countries. The Daily Journal is a law-oriented, statewide publication with branches in Los Angeles and San Francisco. The Burbank Leader is a local subsidiary of the Los Angeles Times. Sign On San Diego is a local community resource for services and happenings within the San Diego area. We have been featured in the local media source, now published under the parent publication of the Los Angeles Times. I have been featured on Entertainment Tonight, which often covers high profile cases in the Los Angeles area. We're invited to speak on legal topics on the highly popular source for sports news and entertainment. My firm has been featured on the celebrity news source, TMZ. As a daily publication for 165+ years, we're honored to have been featured in such a storied publication. We've been featured in the Pulitzer Prize-winning journalistic publication that reaches millions of people. We can assist you throughout the entire legal process after an arrest. The first vital issue is getting released from custody. We can advise you about arranging bail bonds as the first step. Our firm also gets involved in criminal appeals when there has been a miscarriage of justice, either in a conviction or in sentencing. If you believe you or your loved one was wrongfully convicted, we urge you to contact us immediately, as there is a short window of opportunity in which to file an appeal. We can arrange expungements and many other important legal issues. When you need the highest level of defense skills for your case, talk to us. We know how to fight, both in and out of court, we give your case the full focus and attention it deserves. Contact a Los Angeles criminal defense attorney from our firm to discuss your legal situation and to schedule a free case evaluation. All of Los Angeles County including Burbank, Glendale, Pasadena, Santa Clarita, Downtown Los Angeles, Beverly Hills, East Los Angeles, El Monte, West Covina, Torrance, Long Beach and Santa Monica.